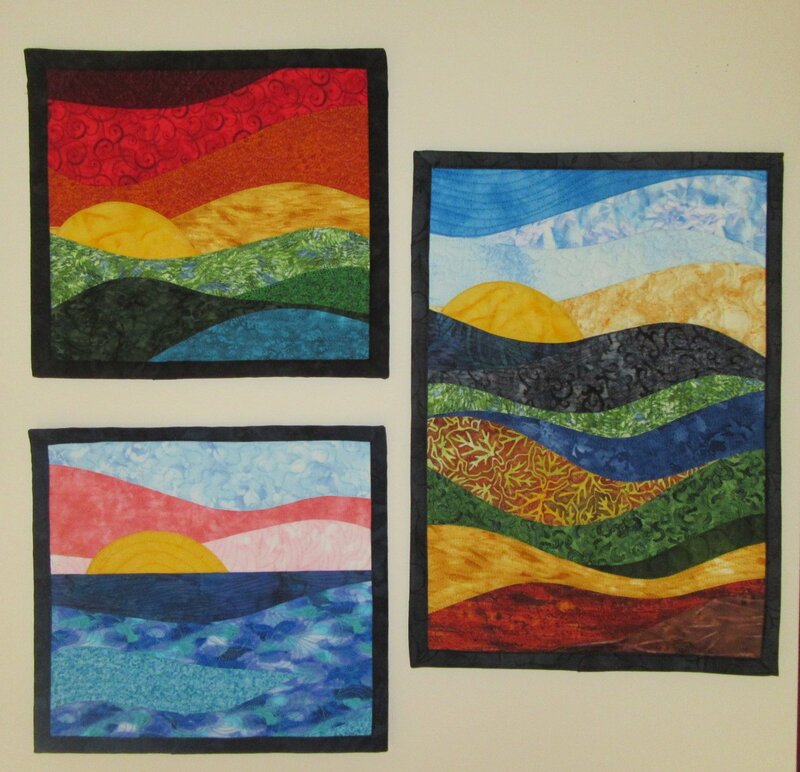 I like to make a variety of sizes of quilts as I know people have both small and large wall spaces for quilts. Sometimes I make small quilts as a way to try out a new design…sort of see if it is going to work! Other times small quilts are just the right size for a design which might be over the top if it was made too large. People almost always buy one quilt at a time. 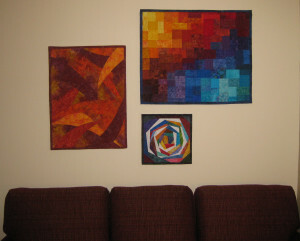 Actually, many quilts would look good hung together. 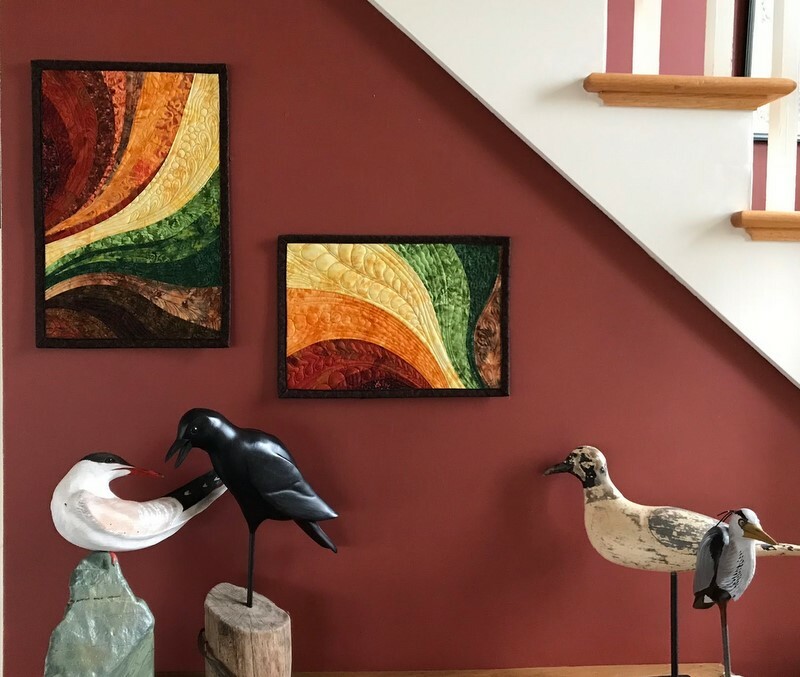 If you are looking at a variety of quilts to purchase and would like me to organize them in a grouping to cover a larger space, just ask and I will gladly organize some hanging options on on my walls and send you a photo. This blog post is mostly pictures showing ways to collectively hang quilts with similar colors but different designs. Let your creative juices run wild and try something different!